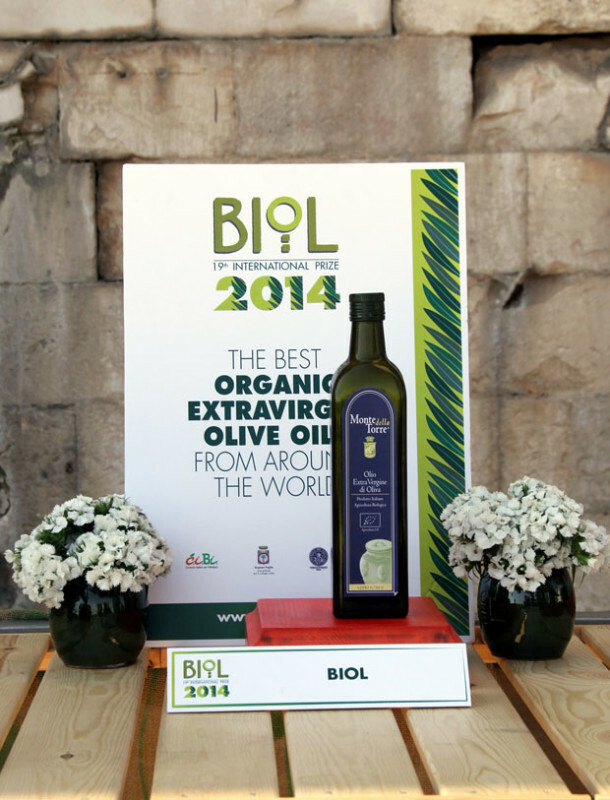 The extra virgin olive oil ‘Monte della Torre’ by the homonymous farm of Caserta has won the gold medal in one of the most prestigious international event dedicated to the best organic oils, the International Prize Biol 2014, now in its nineteenth edition with 425 oils in the race coming from as many as 17 countries worldwide. The farm Monte della Torre rests on the hills of Francolise, an ancient Roman site at the fountainhead of the Calena springs, where olive cultivation has been handed down from time immemorial. The farm, which has been in the family since early 1600’s, is currently run by brothers Alberto and Antonio Marulli. Along with many trees hundreds years old, such as Olivastro di Caserta and Pignarola, a number of new varieties have been introduced, namely Frantoio, Leccino and Pendolino. Many factors have made the extra virgin olive oil Monte della Torre the best in the world: the nature of the soil, the mildness of the climate, the proper blend of the olives together with the loving care put into each phase of the growing cycle. The olives are harvested at the perfect point of maturity with an ancient method called ‘brucatura’, a selective hand-harvesting. They are then immediately cold-pressed so that all of the nutritional benefits and flavour are left intact. The extra virgin olive oil Monte della Torre acquires, therefore , all the characteristics typical of the Campania region: lightness, finesse and a delicate fruity taste.